The founder of the Russian piano tradition, Anton Rubinstein, who in his old age was an acclaimed musician, in 1892 said: “I believe that the instruments of all times had tone-colors and effects that we cannot produce on the pianoforte of today; that the compositions were always intended for the character of the instrument in use, and only on such could be heard fully as intended. Played on the pianoforte of today would be heard to disadvantage… We can know nothing decidedly of the instruments of that day; even those to be found in the museums… give us no idea, since time would destroy the tone of a piano entirely beyond recognition. It is strange how little the professional instrument-makers know of these things!” Anton Rubinstein, Music and its Masters, 1892. In a remote corner of a small town in the heart of Europe, leading piano craftsman Paul McNulty has, day by day, hour by hour, been working on the world’s most unique musical instruments. 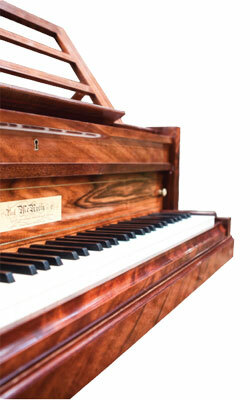 The inconspicuous workshop, employing only a handful of the best carvers and craftsmen, produces true masterpieces; pianos that were owned by the world’s greatest classical composers. Each piano is a new, precise replica of a favourite piano of great composers, every detail hand crafted to ensure excellence. Thousands of hours spent in archives, taking down every single detail and measurement, have reborn these pianos, allowing them to once more shine, and to hear great music in all its colours and effects as it was when the composers were inspired by their pianos to write their masterpieces. 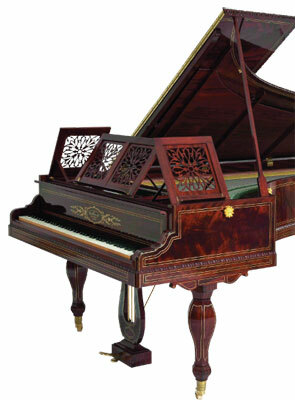 To own a McNulty piano is to own a part of history. Own yours today.